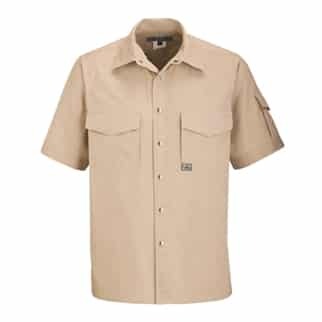 Home » How Do You Size Workwear? How Do You Size Workwear? 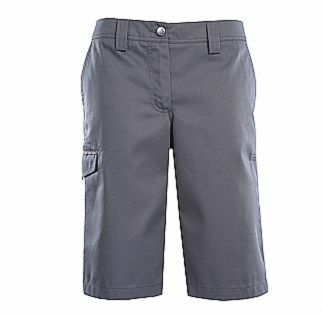 Maximum comfort and ease of movement are an absolute must when it comes to industrial garments. To achieve that, you need to know how to size your workwear properly. Generally, it’s advisable to start measuring from the top, i.e. neck, shoulders and chest to the sleeves. Then, go further through to the waist and down to the inleg to work out what size workwear fits you best. Use a flexible tape measure and don’t tighten it too much. Take the necessary measurements depending on the clothing item you need. For example, measuring your neck size is completely irrelevant if you’re getting a new pair of work pants, but it’s necessary for ordering the right size of your next high visibility work shirt. 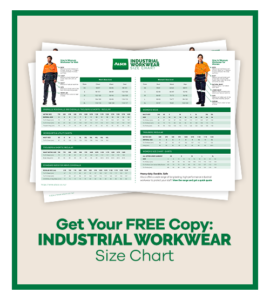 Workwear sizes differ from manufacturer to manufacturer or brand. Still, there are some essential guidelines based on actual body measurements you can follow to figure out which size you are. 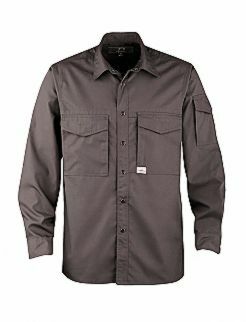 How To Measure Workwear For Men? 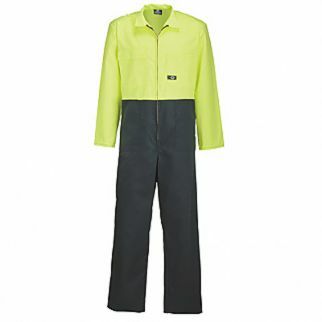 How To Measure Workwear For Women? 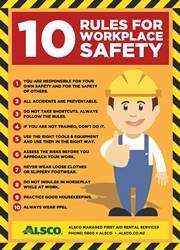 Why Is Safety Workwear Important? What Industrial Garments Does ALSCO Offer? Consider these sizes as a guide only and don’t hesitate to take your own measurements before getting a new piece of workwear. 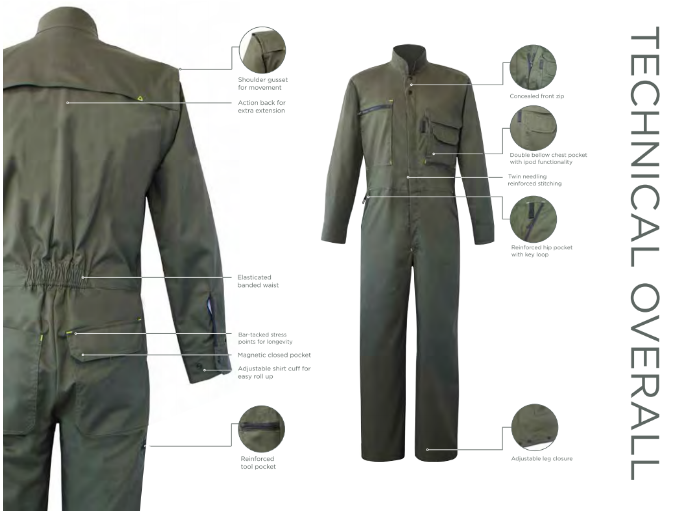 It’s highly recommendable to try it on if possible or get someone’s help to take the precise measurements so that your workwear is just the right size for your safety and flawless professional performance. 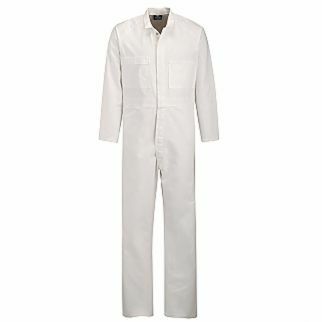 Sizing workwear can get tricky because it differs from sizing regular clothes and is unique for almost every brand or manufacturer, as already pointed out. 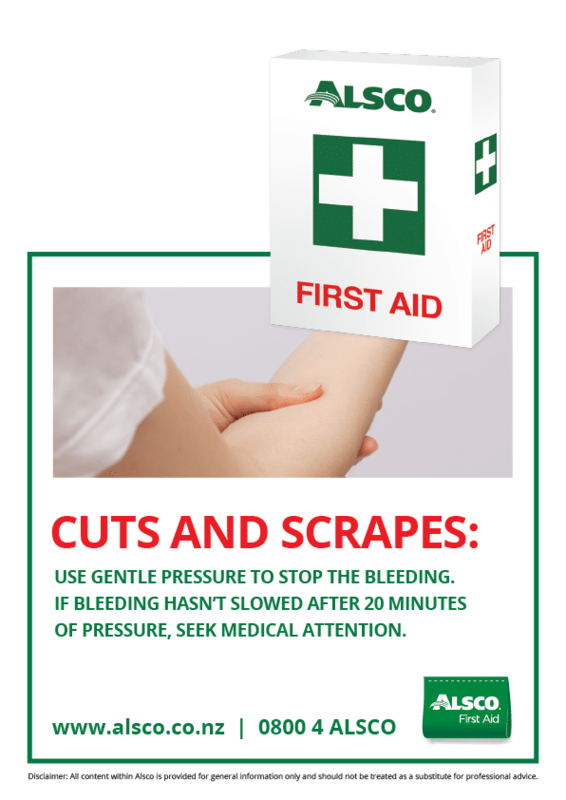 That’s why the following clear-cut measuring guidelines about what to measure and how can come as life-savers before ordering workwear and wasting money on ill-fitting garments. It’s advisable to take measures over underwear or light clothes using a measuring tape which is to be kept level and straight but not too tight. Also, not all these measurements are required for every industrial garment. 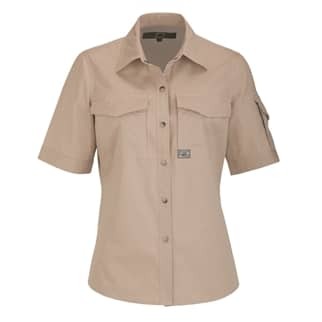 For example, chest and shoulder measurements will be necessary for tops, while waist, hip and inseam measurements are generally needed for pants. Still, you’re about to learn how to take each measurement correctly so that you can get comfortable workwear that fits well. So, how do you take measurements for men? Stand straight up with your chin tucked in and your feet together, and look straight ahead. The surface you’re standing on must be flat and you shouldn’t be wearing any shoes or anything on your head. Ask someone else to measure your full height with a tape measure starting from your head top all the way down to your sole. If you need to measure the length of your torso only, start from your neck base down to the bottom of your buttocks, measuring from the back. How Do You Measure Your Neck Size? Keep the measuring tape snug against the neck placing it all the way around your neck base just below your larynx or the Adam’s apple. When measuring your neck circumference or collar size, remember to add one or two fingers between the tape and your neck for a comfortable fit. Your shoulders should be relaxed and you shouldn’t squeeze your chin down to get the accurate result. How Do You Measure Men’s Chest Size? To measure the circumference of your chest, stand naturally and place the tape measure under your armpits. Wrap it around the widest part of your chest and around your shoulder blades to get the right measurement. 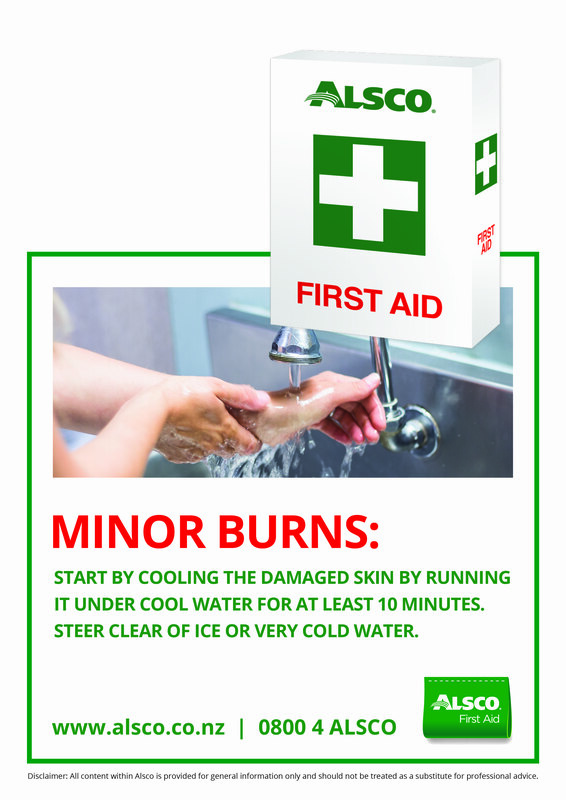 Keep the tape straight and level and make sure it’s not too tight. In case you fall between two sizes, get the next larger one. How Do You Measure Your Sleeve? 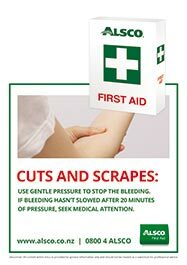 When measuring your arm or sleeve length, make sure your arm is slightly bent at the elbow. Start measuring from the back, placing one end of the measuring tape at the middle of your neck, then pull it over the shoulder and elbow all the way down to your wrist. It’s much easier to do if you have someone’s help. Where Do You Measure a Man’s Waist? Put the measuring tape between the bottom of your ribs and your hip bone top. That’s where you measure your waist circumference. Also, the crease which forms when you bend to the side is your natural waistline. Keep the tape level while wrapping it around your waist. It shouldn’t be twisted or digging into your skin but fit snugly. To avoid getting false measurements, breathe normally, stand straight without sucking in your stomach and don’t measure over other pants. To measure your seat size is actually measuring your hips circumference. Hold one end of the measuring tape at one hip and wrap it around your back and the other hip to your starting position. 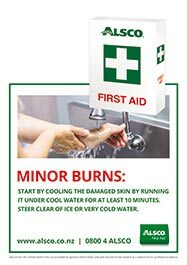 Do it in front of a mirror or get someone’s help to make sure the tape is parallel to the floor, held snug and that you’re measuring over the largest point of your buttocks. How Do You Measure Men’s Inseam? 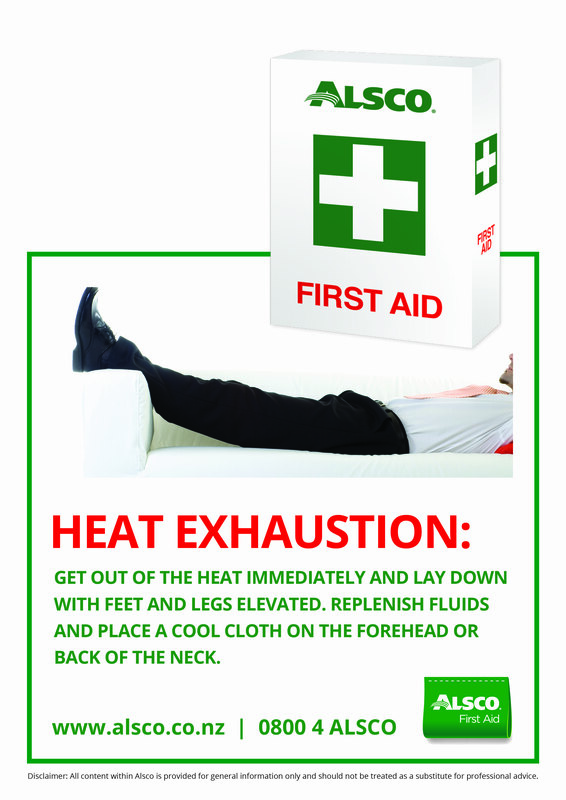 Stand straight on a flat floor with your legs slightly apart. The inner leg length is typically measured starting from the underside of the crotch down to the ankle, shoe heel or floor, depending on the length of the pants you want. That’s because people wear their pants at different heights of their hips and different men prefer different pants length. Since this measurement is difficult to take yourself, if you cannot get help, another option is to take a pair of trousers that fit you well and measure them the same way you’d measure the body. Start from the crotch seam down to the bottom hem. 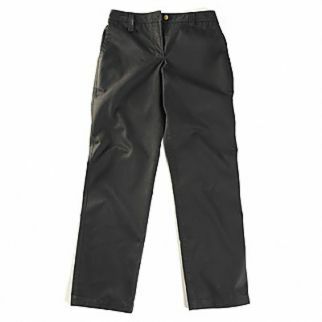 In addition, most work pants have kneepads embedded for extra protection. 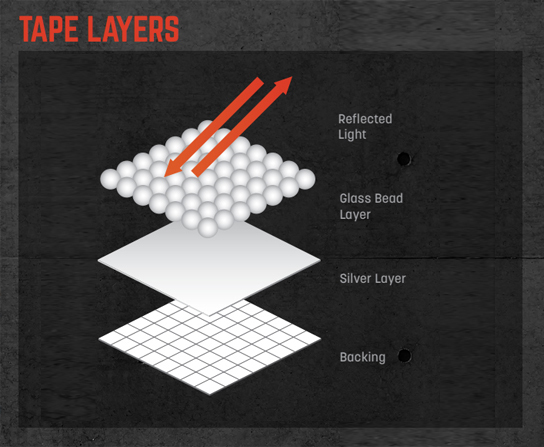 Measuring your inseam accurately is critical for having those kneepads position right. Otherwise, they’re pointless. To sum up briefly how to take the above and a few other measurements, also watch this short video. Follow these easy steps to take men’s body measurements. Now onto properly taking measurements needed for women workwear. While taking women’s body measurements for workwear, it’s important to keep the measuring tape level and snug but not too much. Also, wear nothing more than undergarments or light clothes. Women’s necessary measurements for workwear slightly differ from men’s, but the procedures are basically the same. The typical measured required for women are their natural and lower waist as well as their hip size, whereas neck measures are usually not needed, for instance. To measure your height accurately, it’s important that you’re standing up straight, on a flat floor with your feet together and looking straight ahead. Get someone to measure from the top of your head to your sole. Even wearing socks or a headband can affect the result, so it’s best to be barefoot and remove anything from your head. This measurement is rarely needed for women, but if it’s required from you, do it by keeping the measuring tape loose for more comfort while wrapping it around your neck base. How Do You Measure Your Bust Size Correctly? Measure the most protruding part of your bust ensuring the tape measure is levelled and loose enough. Also, make sure you’re not breathing in and holding your breath while taking this measurement. It’s wise to keep one finger between the tape and the body, round to the nearest whole number, as well as to size up if you fall between sizes. How Do You Measure Arm Size? To take your full sleeve-length measurement accurately, start from the centre back of your neck along your arm to the wrist. It’s best to ask someone for help while measuring your arm length. Finding your waist is usually trickier than measuring its circumference correctly. You’ll find your natural waistline by bending to the side. The crease that forms, which is located above your belly button and below your rib cage, is your natural waist. That’s actually the narrowest part of your torso. The tape measure, which also needs to be levelled and not too tight, is then used to circle your waist. If you’re taking this measurement for overalls, make sure you’ve added one or two fingers between your body and the tape at the belly button line to ensure enough comfort and ease of movement while working. Wrap the tape measure around your lower waist, which is around 4cm below your natural waist, keeping the tape straight and parallel to the floor. Take the measurement in your undergarments without wearing other trousers. When measuring your hips, make sure to find wherever your widest point is. Some women are wider front on because their hips come out to the side, whereas others’ bottoms stick out. When you find the most protruding part, remember to keep the tape measure levelled all the way round while wrapping it comfortably around your hips. How Do You Measure Women’s Inseam? First of all, to take this measurement correctly, you need to be standing with both feet on the flat floor while keeping your legs straight and slightly apart. More importantly, you’ll need someone’s help because it’s nearly impossible to measure your inseam yourself. Hold one end of the tape at your crotch point while your assistant is straightening the measuring tape down your inleg all the way to your shoe heel top if you’re wearing shoes, or to your foot sole if you’re standing barefoot. In fact, measure from your crotch to your desired length of pants. 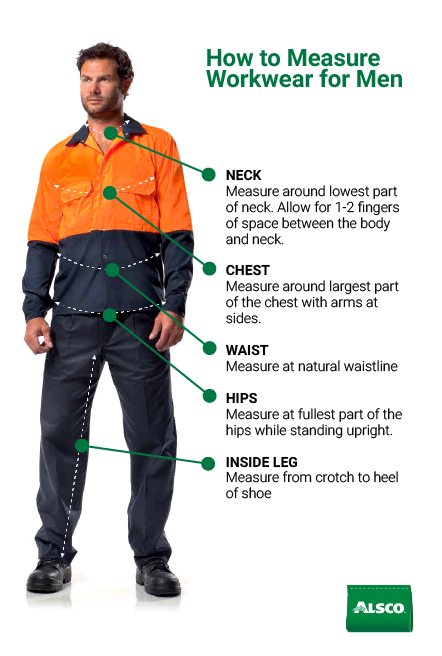 It’s important to take this measurement correctly so that the kneepads embedded in your workwear sit in the right position. 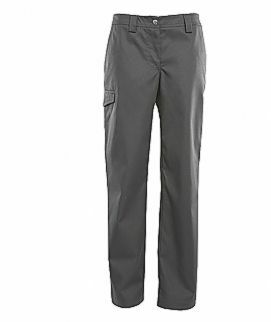 If you cannot get any help, take your inseam measurement using a pair of comfortable pants that fit you properly. Lay them flat on the table and measure the inseam length from the crotch to the bottom hem. 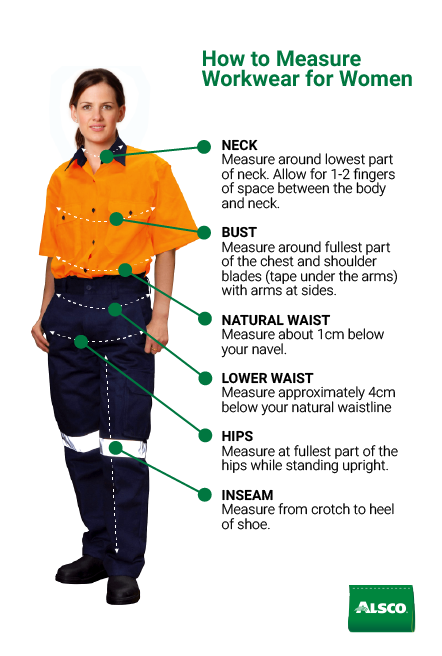 All the previously explained measurement guidelines are critical in measuring for ideal fit, so make sure you follow them next time you take your body measurements for new workwear. 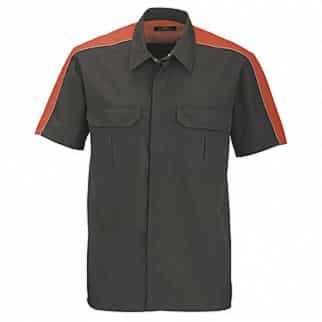 Moreover, there are some industrial garments which are significant for workers’ safety but can be somewhat tricky to find the proper fit for maximum comfort and job performance. Here’s what you should know about them. 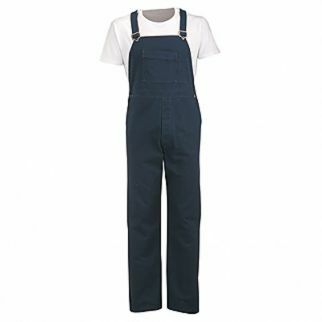 Overalls are usually worn over other clothing so getting the right overalls size can be a bit complicated. Follow these fitting tips to avoid ending up in overalls of a wrong size which will not only be frustrating but can seriously affect your productivity. Tip 1 – Standard overalls measurements assume that you’ll be wearing them over other clothing so make sure you pick the larger size if you’re in between measurements. 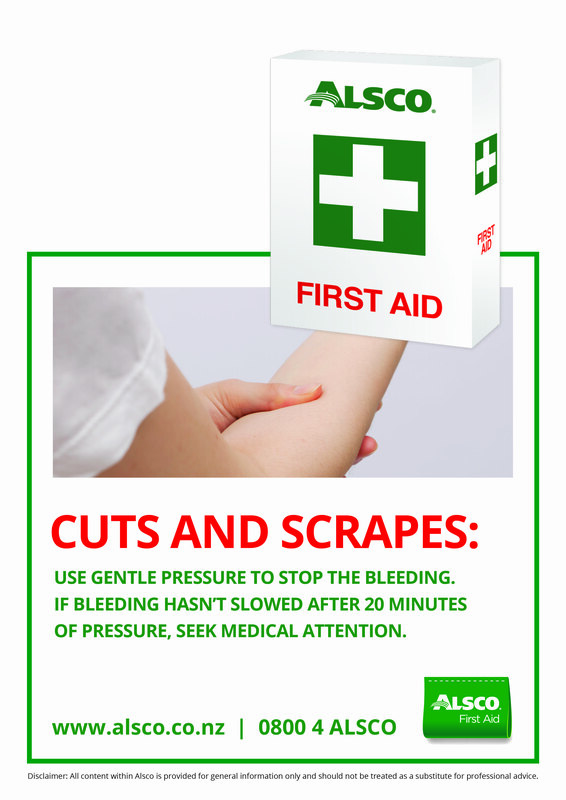 Tip 2 – Measure the fullest part of your chest keeping the tape level and comfortably loose. Tip 3 – Measure the largest part of your waist and add around 5 cm for greater comfort. Tip 4 – If your waist size happens to be larger than your chest size, choose your size according to the waist measurement. Tip 5 – Subtract a few centimetres from your inseam measurement to leave enough room for another clothing layer under your overalls. Carefully measuring your body and comparing the measures to this overalls size chart should help you hit the right size. The same advice should be taken into account where applicable when taking measurements for jackets or similar industrial garments you’ll wear over other clothing. Neither should these items be too loose or oversized nor should they restrain your movements. 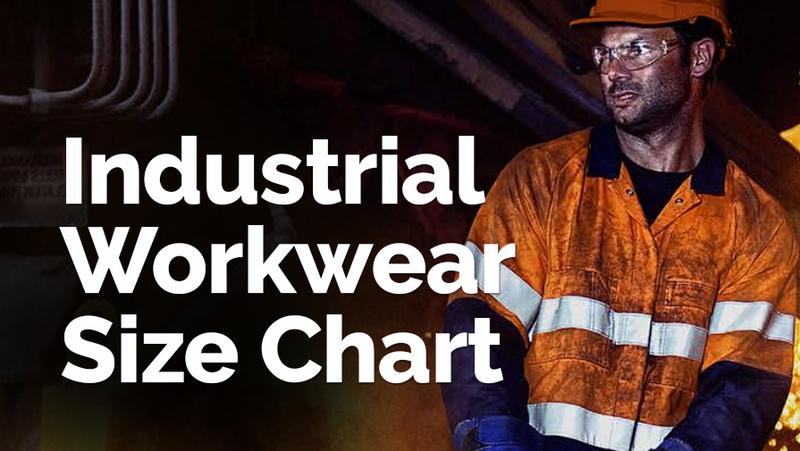 With everything you’ve already learnt about measuring your body right and with our comprehensive workwear size chart, you’ll hopefully be able to find the ideally fitting workwear for yourself. 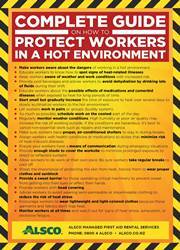 Wearing protective industrial garments goes without saying for everyone who behaves responsibly at workplace. Not only does it enhance efficiency at work, but saves lives. 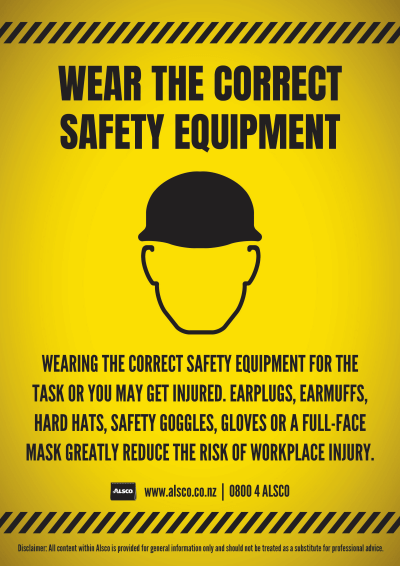 Safety workwear such as high visibility or fire retardant garments, safety shoes, gloves, goggles, helmets and similar are absolutely necessary for all those working in hazardous conditions to prevent injuries (provided that they’re wearing the right size). 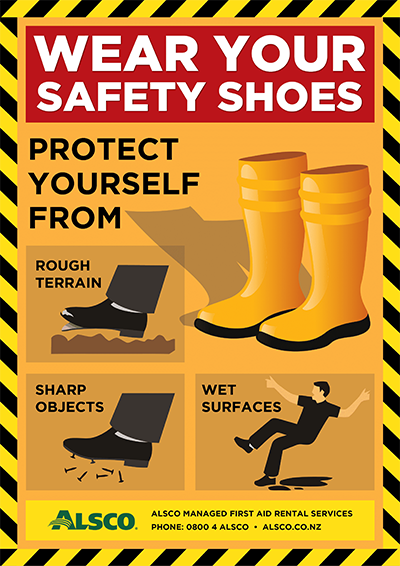 Wearing loose workwear or slippery shoes often leads to trips, falls and many other workplace injuries and financial losses. 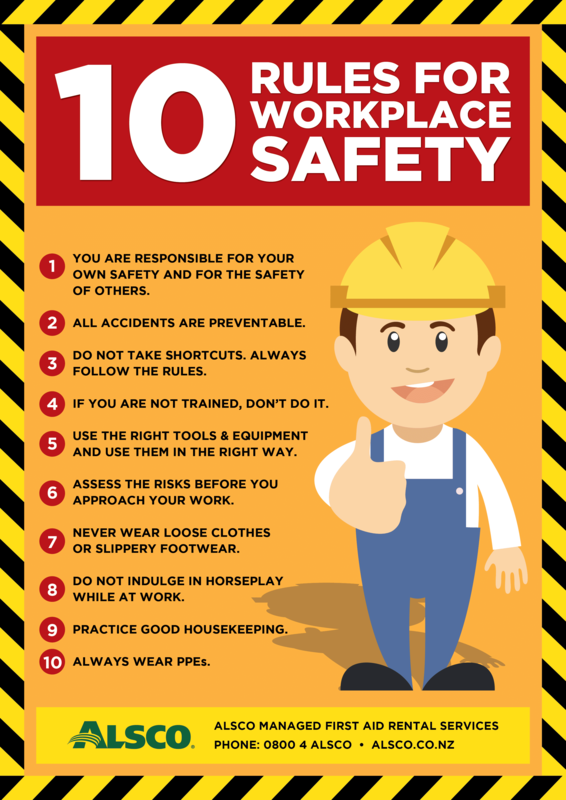 However, the most precious gem you can lose is your life, so it’s critical that you raise your workplace safety awareness. 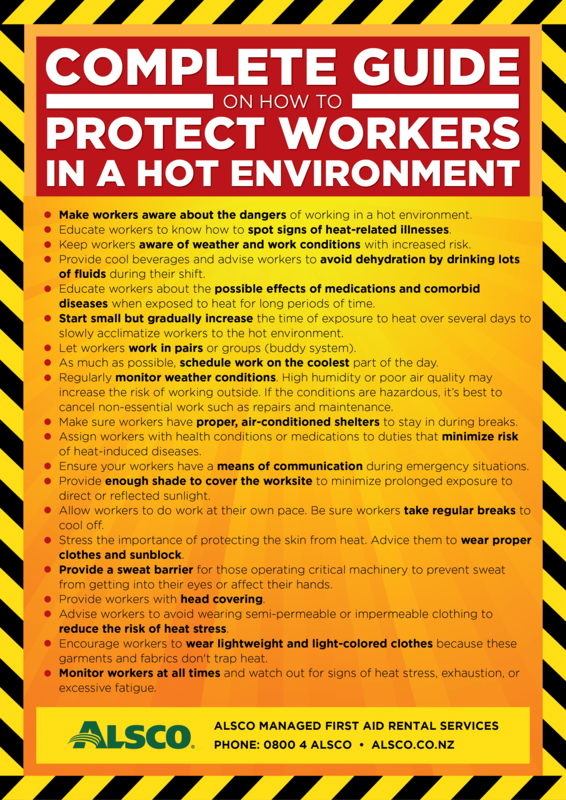 Download free printable workplace safety signs and posters. Still, if a workplace emergency happens, make sure you’re ready to put your first aid knowledge into practice and save your co-workers’ lives with your prompt reaction. Here’s a quick reminder just in case. 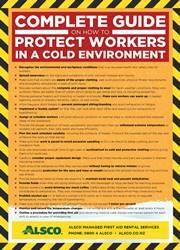 Since prevention is always better than cure, ensure your workplace safety with Alsco’s industrial workwear. 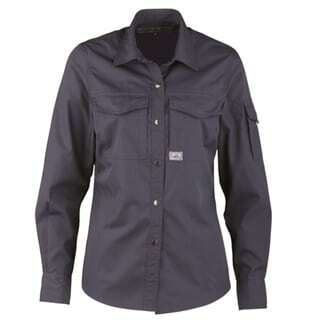 Alsco’s offer includes a wide range of workwear for men and women employed in various industries. 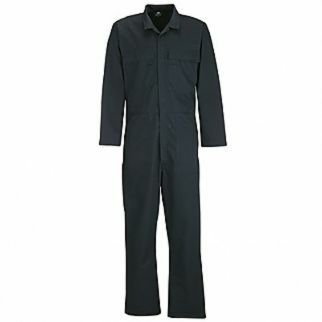 We can help you choose your industrial overalls from an extensive selection of colours, sizes and materials. 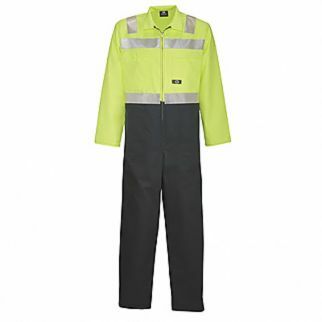 Then, you can find a wide array of high visibility safety garments such as overalls, shirts and safety vests to ensure you’re always easily spotted and protected according to the Hi Viz AS/NZ 4602 Standard. 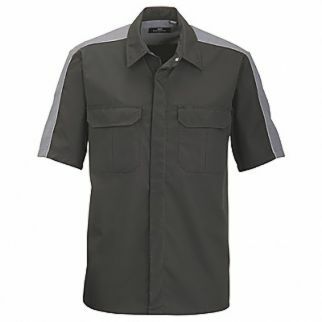 Alsco can offer you their two tone workwear which is constructed with a high-quality polycotton blend to make it more durable, breathable, suitable for industrial laundry processing and fantastic for outdoor workplaces. 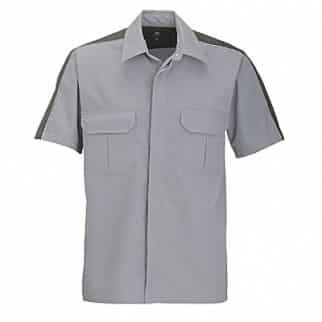 Besides feeling protected and comfortable, Alsco makes sure you always look great in your workwear. Inspired by a modernised design, we created our urban workwear for ladies and gents. 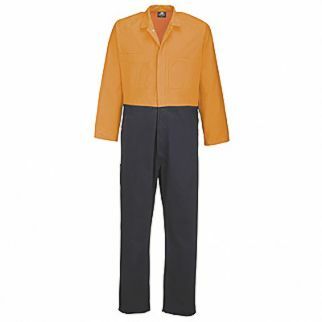 Who wouldn’t want to look good in perfectly fitting workwear while performing brilliantly at work? 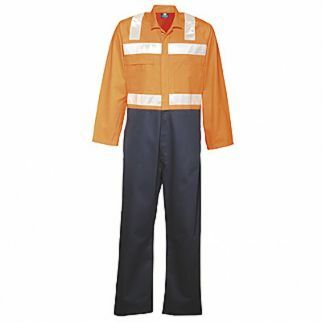 Furthermore, Alsco sells a selection of Deane Apparel industrial garments built for maximum comfort – fire retardant range, hi visibility workwear, and tough workwear such as technical overalls presented below to ensure all the workers wearing these items always stay seen and safe. ease of maintenance and much more. Deane’s specialised fire retardant workwear for people involved in hazardous industries meets the highest government quality standards (AS/NZS 1906.4:2010, AS/NZS 4602.1:2011 and CoPTTM:2013). 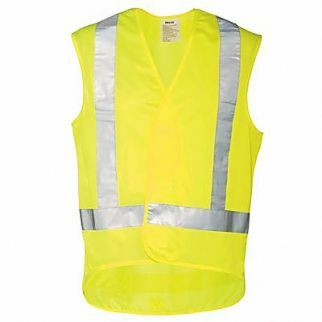 Similarly, Deane’s high visibility workwear is made to maximise workers’ visibility where required such as near fast moving traffic by incorporating their effective retro reflective tape technology. 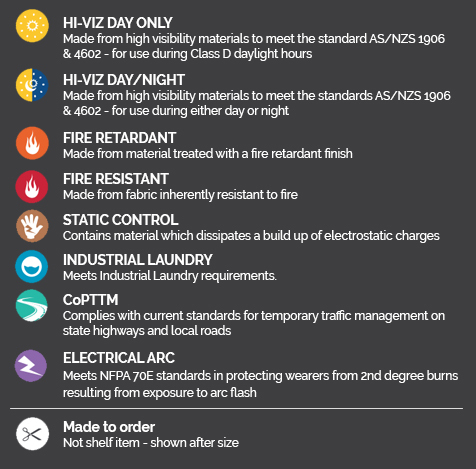 In a nutshell, all Alsco’s industrial workwear is fully compliant with safety regulations, affordable and, more importantly, of supreme quality to keep you 100% protected at workplace. 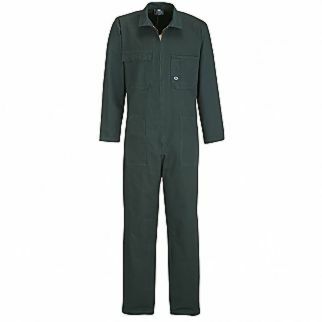 Contact Alsco now to get your durable, top-performance industrial workwear which will unquestionably prove to your employees how much you care for their well-being and safety. 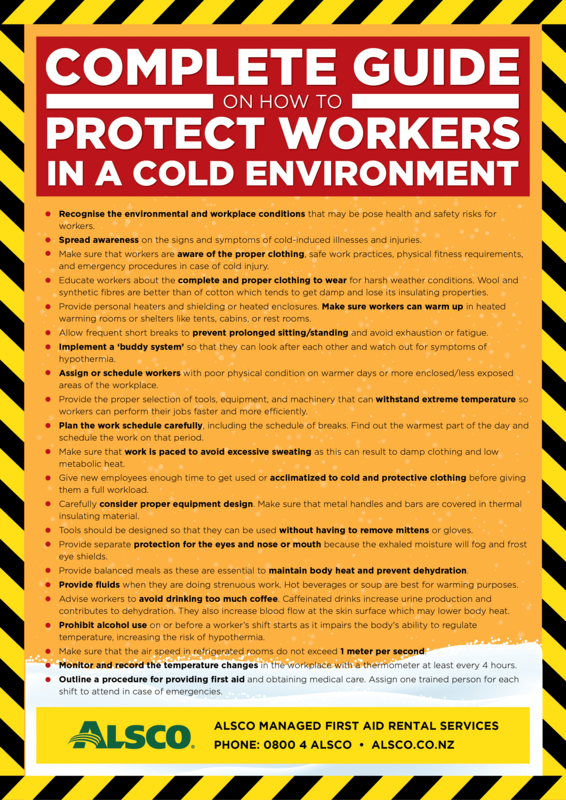 Prove to your employees how much you care for their safety with durable, top-performance industrial workwear. 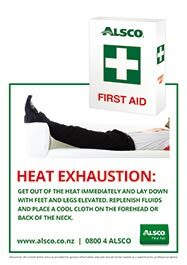 We use Alsco’s services for work clothes, laundry, textiles, first aid boxes and defibrillators. So it’s quite a mix and across several sites and teams around the city. Alsco’s approach and interaction with PNCC City Enterprises is efficient and professional and transition to the new supplier was very smooth and easy on the day. They provided a comprehensive priced schedule, which is a big help at the start of a supply contract. The contract was also awarded on Alsco’s non-financial service aspects and their modern facility employing local people were significant factors. I have been with Alsco for the last two years and the level of service is outstanding. I love coming into work every morning to see my team of chefs looking smart and ship shape in their beautifully pressed jackets. Be the next business to be utterly thrilled with Alsco’s outstanding services!